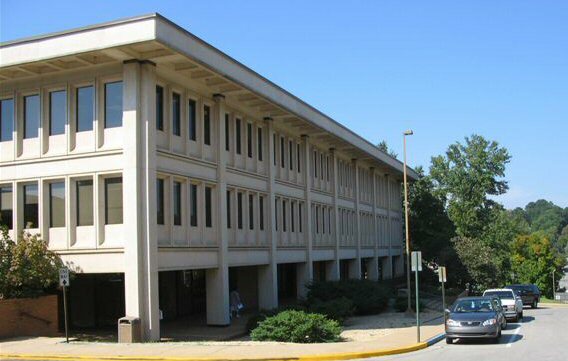 ADMN Located on Maple Street near the intersection of Garland Avenue, the Administration building houses administrative personnel for the campus, Human Resources, and Business Affairs. Parking for this facility is available in the parking meter spaces parking lot 26 and on Maple Street and in the Stadium Drive and Garland Avenue Parking Garages. See Parking Map. ADSB Located at the intersection of Nettleship Street and Razorback Road, this facility houses the Transit and Parking Department, University Police and University Information Technology Services. Parking for this facility is available at the parking meters in front of the building. See Parking Map. ALUM Located at the intersection of Razorback Road and Maple Street, this facility houses the Arkansas Alumni Association. Parking for this facility is available in the visitor spaces behind the Alumni building. See Parking Map. ARKU Located approximately one block south of the intersection of Garland Avenue and Maple Street, the Arkansas Union provides facilities, services and program support for the University community. Arkansas Union houses the University Cashiers. Parking for this facility is available in the parking meter spaces in the numbered spaces in the Stadium Drive Parking Garage. See Parking Map. BELL Located near the intersection of Dickson and Maple Street, Bell Engineering is home to the University of Arkansas College of Engineering. Parking for this facility is available in parking meter spaces in lot 71 on the corner of Dickson Street and Duncan Avenue and the Harmon Avenue Parking Garage. See Parking Map. 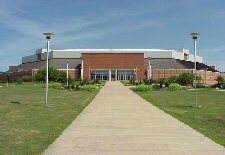 WALT Located just off of the intersection of Razorback Road and Leroy Pond Road, the Bud Walton Arena provides facilities, services, and programs relating to basketball and the Hog Heaven store. Parking for this facility is available in the parking meters in parking lot 60. See Parking Map. 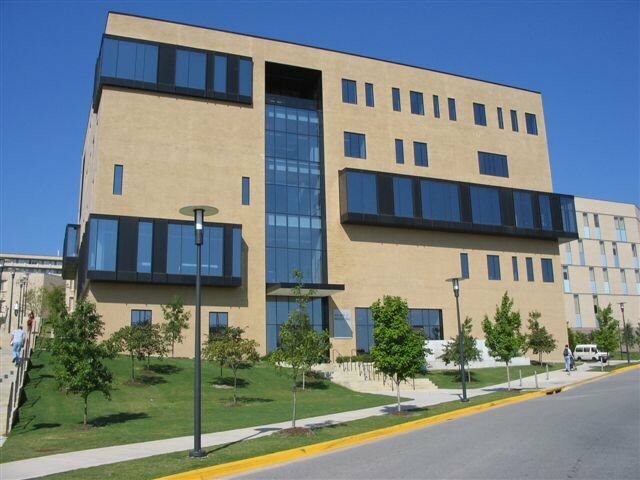 FPAC Located at 453 N Garland Avenue, south of Silas Hunt Hall and north of the Arkansas Union, the Jim & Joyce Faulkner Performing Arts Center is a 500+ seat state of the art venue dedicated to providing a community-centered approach to the performing arts. In addition to hosting acclaimed artists and performers, the Faulkner Center is also home to the University of Arkansas music department's large ensembles. With an impressive offering of renowned performers and culturally relevant events, the Faulkner Center excels in its mission of contributing to education and excellence, helping build a new generation of artists and patrons. Parking for this facility is available in the metered spaces in the Stadium Drive Parking Garage with ADA parking in Lot 26. See Parking Map. FWLR Located near the intersection of Razorback Road and Maple Street, the Fowler House is home to the University of Arkansas Chancellor. Parking for this facility is available with permission, at the house or in Lot 1 with a visitor permit. See Parking Map. 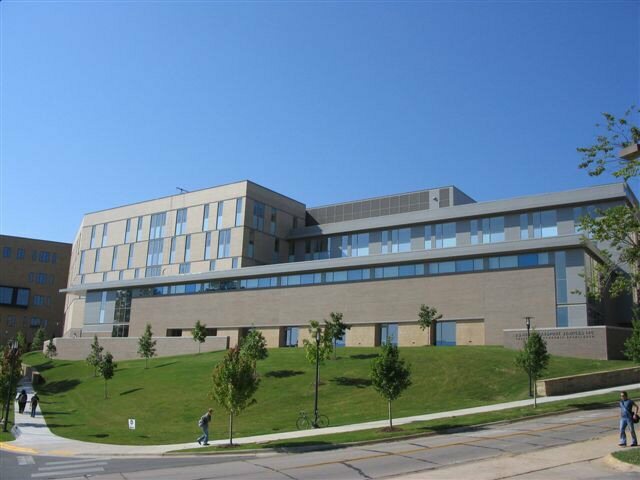 Located on Garland Avenue with entrances off Cleveland and Lindell Avenues, the Garland Avenue Parking Garage attaches directly to the Garland Avenue Center and Shops, which include the University of Arkansas Bookstore, Walmart On Campus, as well as other retail shops, restaurants, and other services. Metered parking is available in numbered spaces. Temporary visitor parking is available in signed spaces. See Parking Map. The Harmon Avenue Parking Garageis located between Harmon Avenue, Duncan Street and Williams Street. Hourly parking is available by paying the parking meter. See Parking Map. HPER Located at the intersection of Meadow Street and Stadium Drive, the Health, Physical Education and Recreation building(HPER) houses the total campus Health Science, Kinesiology, Recreation, and Dance programs in addition to racquetball courts, basketball gyms, indoor track, pool climbing wall and saunas. Parking for this facility is available in the parking meter spaces in the Meadow Street Parking Garage. See Parking Map. JBHT Located near the intersection of Dickson Street and Harmon Avenue, the J.B. Hunt Transport Service Inc. Center for Academic Excellence houses the Center for Advanced Spatial Technologies, Computer Science and Computer Engineering, Information Technology Research Institute and language labs. Parking for this facility is available at the Harmon Avenue Parking Garage. See Parking Map. 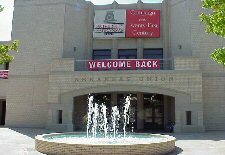 MULN Mullins Library is located in the Historic Core of campus directly east of the Arkansas Union Mall. Parking for this facility is available in the Stadium Drive Parking Garage and the Harmon Avenue Garage. See Parking Map. MAIN Located in Historic Core of campus, Old Main is the symbol for the University of Arkansas and home to the J. William Fulbright College of Arts and Sciences. Parking for this facility is available in the parking meter spaces in Lot 71, on Arkansas Avenue, and the Harmon Avenue Parking Garage. See Parking Map. RSEA The Donald W. Reynolds Razorback Stadium and the Frank Broyles Athletic Complex are located at the intersection of Razorback Road and Maple Street and Stadium Drive. Parking for this facility is available in the parking meter spaces in the metered spaces in the Stadium Drive Parking Garage. RCED The Donald W. Reynolds Center for Enterprise Development is located approximately one-half block east of McIlroy Avenue on Fairview Street. The Small Business Development Center is also located in this facility. Parking for this facility is available in the Harmon Avenue Parking Garage. See Parking Map. HUNT Located at the the intersection of Garland Avenue and Maple Street, Silas Hunt Hall houses the offices of the Registrar, Admissions, Financial Aid and University Cashiers. Parking for this facility is available in the parking meter spaces in lot 26, the parking meters on Maple Street and the Garland Avenue and Stadium Drive Parking Garages. See Parking Map. SDPG Located on Stadium Drive near Razorback Stadium and the Arkansas Union, the Stadium Drive Parking Garage provides metered parking for campus visitors. 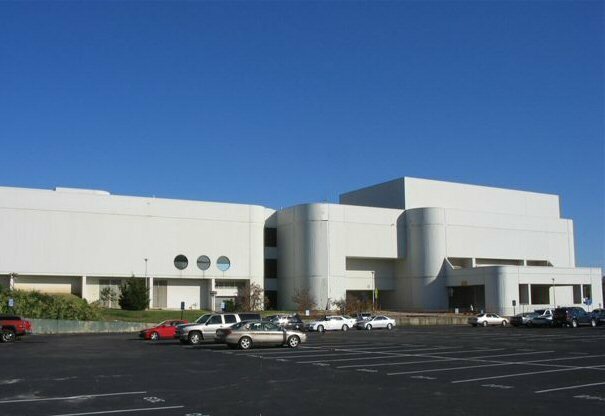 WCOB Located on McIlroy Avenue and Fairview Street this facility is home to the Walton College of Business. 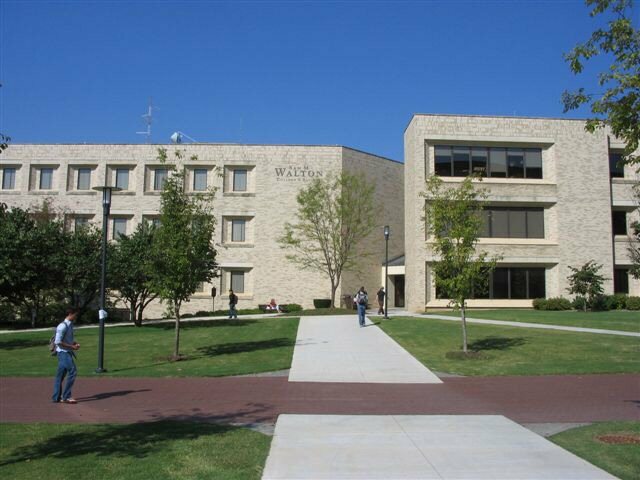 WJWH Located on Harmon Avenue, Willard J. Walker Hall is home to the Graduate School of Business and other business related facilities.